Throughout most of the eighteen fifties, war was a continual threat between the North and the South over the issue of slavery. Then, in the autumn of eighteen fifty-nine, the crisis seemed to calm. Anti-slavery extremists governed only a few states of the North. And pro-slavery extremists held power in only a few states of the deep South. There had been elections in most of the northern and southern states. Voters had rejected candidates with extremist ideas and elected moderates instead. The public saw the elections as a sign of hope that reasonable people might find a way to settle the bitter dispute over slavery. But these hopes fell apart on October seventeenth, eighteen fifty-nine. That day brought the news that a group of Abolitionists had attacked the town of Harpers Ferry. The town was then part of Virginia; today it is part of West Virginia. Now, Jack Moyles and Harry Monroe continue our story. 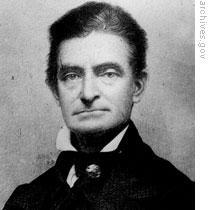 The attack was led by John Brown, an old anti-slavery extremist. Many believed him insane. He had gone to Kansas and fought bitterly against pro-slavery forces. Once, to answer an attack on the town of Lawrence, Brown and his men pulled five men and boys from their homes and murdered them. The wife of one of the men said Brown told her: "If a man stands between me and what I believe to be right, I will take his life as coolly as I would eat my breakfast." Brown lost a son in a pro-slavery attack on his home at Osawatomie, Kansas. Brown and his friends were forced to flee. They watched as the pro-slavery men burned the town. Brown shook with grief and anger. "I have only a short time to live," he said, "only one death to die. And I will die fighting for this cause. There will be no more peace in this land until slavery is done for. I will give them something else to do than to extend slave territory. I will carry this war into the South." To fight a war against slavery, Brown needed money and guns. He went to Massachusetts and New York. He spoke at town meetings and met privately with Abolitionist leaders. In these private talks, Brown said it was too late to settle the slave question through politics or any other peaceful way. He said the only answer was a slave rebellion. It would be bloody, Brown said, and this was terrible. But slavery itself was a terrible wrong -- the same as murder. Only blood, he said, would wash away the wrongs of slavery. Brown said God meant for him to begin this rebellion by invading Virginia with a military force he already was organizing. Brown said even if the rebellion failed, it would probably lead to a civil war between North and South. In such a war, he said, the North would break the chains of the black man on the battlefield. Brown won the support of a group of Abolitionist leaders. They formed a secret committee and called themselves the "Secret Six." They agreed to advise Brown and, more importantly, to raise one thousand dollars for him. From New England, Brown went to Chatham, Canada. He went there for a secret convention he had called to form a revolutionary government. This government would rule all the slave territory that Brown and his men could capture. Forty-six representatives went to the convention -- thirty-four Negroes and twelve whites. Brown told them of his plan. He said he was sure that southern slaves were ready for rebellion. He said they would rise up at the first sign of a leader who wished to break their chains. "But what if troops are brought against you?" one man asked. Brown answered that his men would fight in the mountains, where a small force could stop a much larger one. He said his men would be well-trained in mountain fighting. Brown said he expected his small force to grow much larger. He would invite the slaves he freed to join his army. And, he said he thought that all the free Negroes of the North would come to fight slavery with him. The representatives approved Brown's constitution. And they named him commander-in-chief. 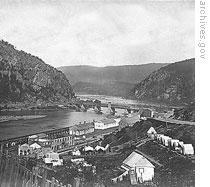 Brown had decided to strike at Harpers Ferry, a town of about twenty-five hundred people. It was in northern Virginia about one hundred kilometers north of Washington. Harpers Ferry was built on a narrow finger of land where the Shenandoah River flowed into the Potomac River. There were two bridges. One crossed the Shenandoah. The other, a railroad bridge, crossed the Potomac to Maryland. John Brown chose Harpers Ferry because there was a factory there that made guns for the army. There also was an arsenal where several million dollars worth of military equipment was kept. Brown needed the guns and equipment for the slave army he hoped to form. Old Brown arrived at Harpers Ferry early in July, eighteen fifty-nine. Two of his sons, Owen and Oliver, and another man came with him. They rented an old house on a farm in Maryland not far from Harpers Ferry. Brown told people that he was a cattle buyer from New York. Brown's men joined him, one or two at a time, over the next several months. They traveled at night so no one would see them. Once they reached the farm house, they had to stay in hiding. Week by week, the little force grew. But it grew too slowly. By the end of summer, there were still less than twenty men hiding in the old house. Brown wrote letters to his supporters in the North. He asked for more money and more men. He got little of either. His supporters were afraid. Too many people knew of Brown's plans. The "Secret Six" feared they would face criminal charges if Brown attacked Harpers Ferry. 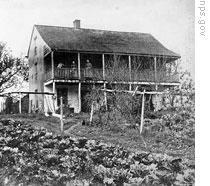 Brown's men grew tired of the small, crowded rooms of the farm house. Brown knew he must act soon or his young men would begin leaving. On Saturday, October fifteenth, three men arrived to join the group. One of them brought six hundred dollars in gold for Brown's use. Brown saw the gold as a sign that God wanted him to act. He told his men they would strike the next night. Brown held religious services Sunday morning and prayed for God to help him free the slaves. Then he called his men around him to explain to them his battle plan. They would seize the two bridges at Harpers Ferry and close them. Next, they would capture the armory and the rifle factory. They would capture as many people as possible. They would use the people as hostages for protection against any soldiers that might be sent against them. The army had no men near Harpers Ferry. Brown believed he would have all the time he needed. He believed his only opposition might be local groups of militia. He did not fear these civilian soldiers. The old man thought he and his men could hold Harpers Ferry until slaves in the area rebelled and joined them. Brown knew that Maryland and western Virginia were full of people opposed to slavery. He expected many of them to come to his aid. The twenty-two men rested until dark, listening to rain hit the roof of the farm house. About eight o'clock, Brown called his group. "Men," he said, "get your weapons. We are going to the Ferry." A wagon was brought out and a horse tied to it. In the wagon were a few tools and some extra guns. Brown climbed into the wagon and started it toward town. Two of his men stepped out in front of the wagon, leading the way. The others walked behind. It was a dark and cold night. A light rain was falling. There was no one else on the road. After a time, they reached the high ground above the Potomac. Below them, across the river, lay the town of Harpers Ferry. Most of the town was sleeping. Only a few lights shone through the rain. 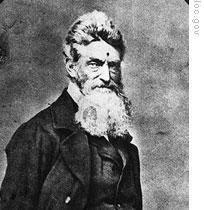 John Brown was ready for his final struggle against slavery. Our program was written by Frank Beardsley. The narrators were Jack Moyles and Harry Monroe. 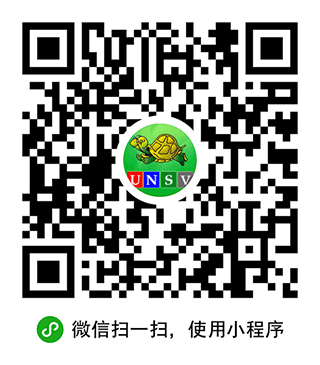 Transcripts, MP3s, podcasts and archives of our programs are online, along with historical images, at www.unsv.com. Join us again next week for THE MAKING OF A NATION -- an American history series in VOA Special English.